Merriam-Webster dictionary defines a deadbeat as someone "one who persistently fails to pay personal debts or expenses." So by definition, you'd think a credit card deadbeat was someone who didn't pay their credit card bills each month, someone whose accounts end up getting sent to collections or charged-off or both. Not so in the credit card industry. 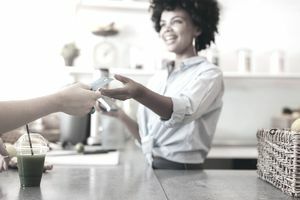 The credit card industry, infamous for making up their own rules, says that a credit card deadbeat is someone who pays their credit card balances in full and on time each month. Here's why you don't want to listen to what the credit card industry says. Why the Credit Card Industry Uses "Deadbeat?" Credit card companies make a large portion of their money from interest and fees paid by cardholders. You get charged interest when you let your balance revolve - that is, when you carry it from one month to the next, being assessed a finance charge each time. Credit card companies love these kinds of cardholders because people who pay interest increase the credit card companies' profits. When you pay your balance in full each month, the credit card company doesn't make as much money. If it weren't for merchant fees paid by the stores where you use your card, your credit card would be a waste of 16-digits. You're not a profitable cardholder, so, to credit card companies, you are a deadbeat. The reason you want to be a credit card deadbeat is simple - because not being a deadbeat is costly. Being a deadbeat allows you to escape potentially expensive finance charges on your credit card balance. Let's say you have a credit card balance of $5,000 with an interest rate of 15%. Rather than pay the balance in full each month, you send $200 payments each month. If you don't charge anything else on the credit card and continue making $200 payments to the account, you will pay $1,033 in interest by the time you pay off the balance in two and a half years. That's 20% of the original balance. If you'd continued making charges on the credit card rather than pay off the balance, your interest charges would be a lot higher. And if you paid the only the minimum payment (which decreases as you pay off your balance), you'd pay more than $2,000 in interest by the time your credit card is paid off. Paying your balance in full is a much more responsible way of managing your credit. Not only do you not worry about interest charges, you keep your credit utilization low, boost your credit score—the number many creditors and lenders use to approve your applications—and avoid getting into credit card debt. Forget about what the credit card industry says about credit card deadbeats. It's more important to save money than to empty your pockets for the multi-billion dollar credit card industry.